Most dust comes from outdoor dust that has been tracked in or blows through windows or other openings. 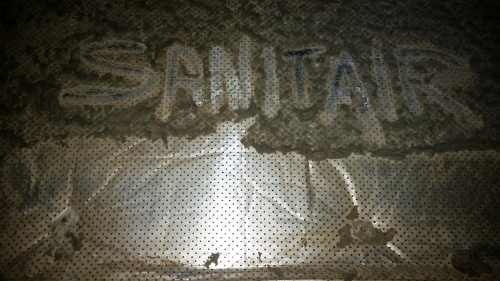 ”Dust” is also created by human skin and hair shedding, pet debris, fibres from carpets, clothes, bedding, hobbies etc. In fact, as you walk around in your house you raise a small cloud of dust particles wherever you go. Dust will be present in one form or another whether you have clean ducts or not. Knowledge about the potential benefits and possible problems of air duct cleaning is limited. Since conditions in every home are different, it is impossible to generalize about whether or not air duct cleaning in your home would be beneficial.…just 10 years ago, you couldn’t find bottled water for sale at the local supermarket? Now, you can buy at least 30 different kinds of water packaged in all shapes and sizes. Well, as concerned consumers, we have become more aware of health and nutrition. We want clean, good tasting water not trusting what is coming out of our taps and numerous companies satisfied the need. What about the air we breathe? If you have to pay for air, wouldn’t you demand that it be fresh, pure and clean? It’s up to you. Which one do you want the air you breathe travelling through? 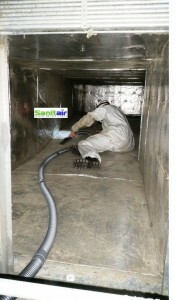 If no one in your household suffers from allergies or unexplained symptoms or illnesses and if, after a visual inspection of the inside of the ducts, you see no indication that your air ducts are contaminated with large deposits of dust or mould (no musty odour or visible mould growth), having your air ducts cleaned is probably unnecessary. It is normal for the return registers to get dusty as dust-laden air is pulled through the grate. This does not indicate that your air ducts are contaminated with heavy deposits of dust or debris; the registers can be easily vacuumed or removed and cleaned. On the other hand, if family members are experiencing unusual or unexplained symptoms or illnesses that you think might be related to your home environment, you should consider having your ducted system inspected.